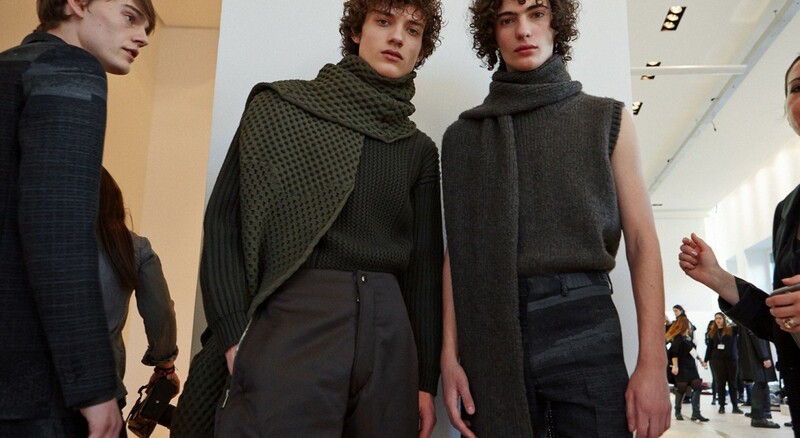 In his past two seasons at the helm of Jil Sander, Creative Director Rodolfo Paglialunga has proved his commitment to the house’s minimalist codes, an aesthetic built upon stripping back excess to expose functionality and precision, whilst injecting his own urban sensibilities. 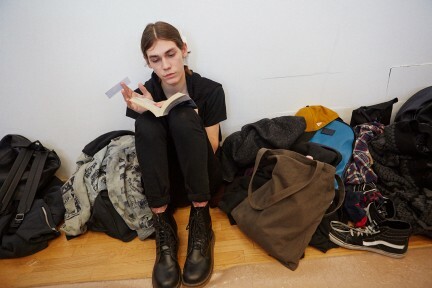 To the industrial, pulsating beat of Ministry’s Over The Shoulder models marched with purpose. A military influence ran throughout. Straps and belts crossed models’ shoulders and waists; less constrictive, more utilitarian, a neat adaptation on the slick silhouettes that have been synonymous with the house since the 90s. Whilst staying true to the house’s hard-wired aesthetic, Paglialunga subtly builds. This season leather was the addition that propelled the collection forward; across trousers, tunic tops with snap metallic fastening and accessories. Sweaters came either thick ribbed or waffle-knit, paired with leather detailing and matching scarves. 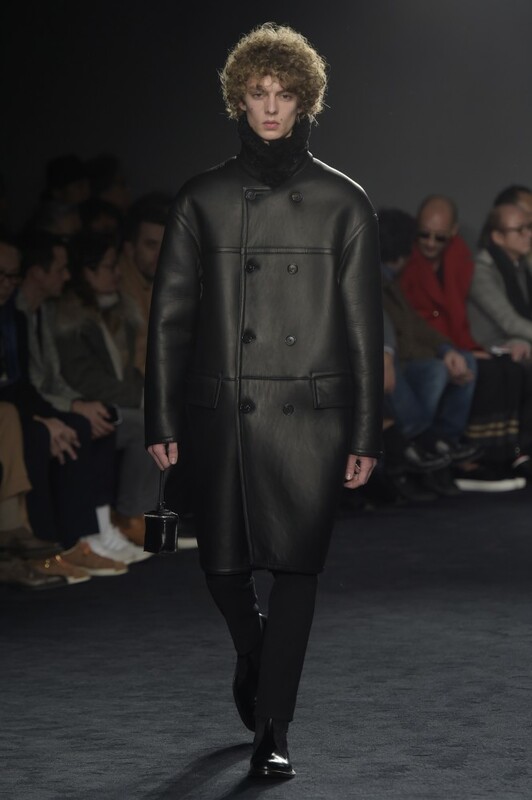 Here was a collection built for protection, in the harsh realities of city life the Jil Sander man strides resolutely and with nonchalant style.